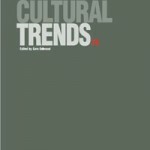 Two Understanding Everyday Participation special issues of Cultural Trends have been published. The first special issue sets out early research findings, framing the central propositions of the project. UEP research is concerned with the orientation of cultural policy and state-funded cultural programming, cultural participation, and value. The second issue focuses on the situated nature and territorial dynamics of participation. It contains six main articles that explore – in different ways and various contexts – how everyday cultural practices and understandings of their value both shape and are influenced by place, space and locality. The Understanding Everyday Participation team has made a number of additional publications a few of which are featured here. Gilmore, A (2014). Raising our quality of life: The importance of investment in arts and culture. The Centre for Labour and Social Studies, London.